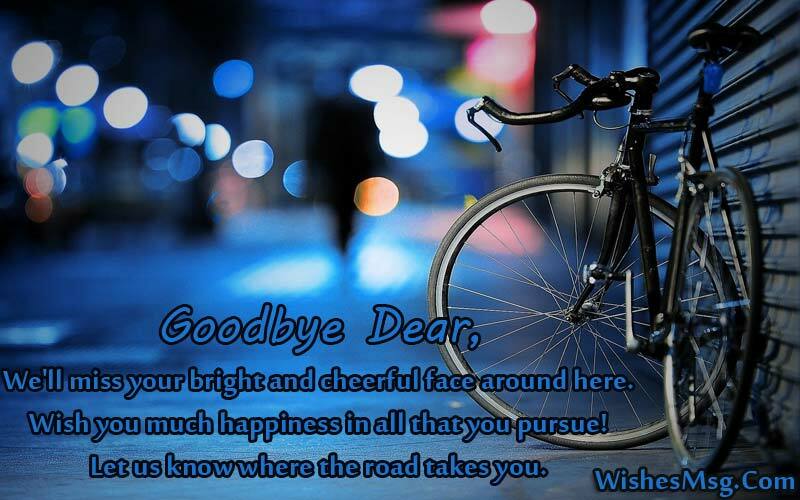 Farewell Messages For Colleague : The departure of a dear colleague is painful and seems a big loss not only for our professional life but also personal life too. As like best friends colleagues perform a special role in our life both helping at working also remain friendly outside of the office giving support and care during hard times. 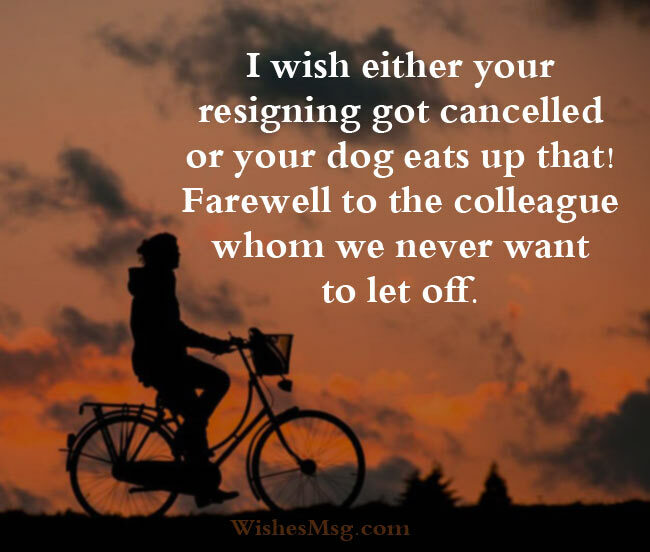 So, when a good colleague going to retire, transfer, switch to another new job or resigns than you should bid him/her a wonderful farewell. 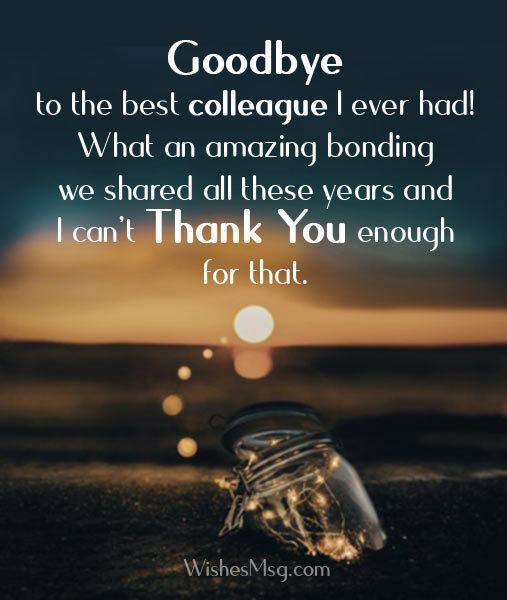 Here we brought to you some heartfelt farewell message for colleague along with goodbye quotes and notes to make their farewell a memorable day which could be a treasure to cherish in future. Saying Goodbye is never easy. Your memories will always have a warmth place in my heart. I will really miss you. Thank You! For all those hectic days you were there by my side. It’s a great pleasure to work with you! Goodbye to the best colleague I ever had! What an amazing bonding we shared all these years and I can’t thank you enough for that. Farewell and Goodbye Dear! Though your leaving can’t apart us, yet I am feeling pain. I’m going to miss you in the office. Working without you is going to be boring, but this is life! Wish you all the best in your tour of endeavors future. Never told you, but I was always learning from you. You were my all time inspiration and will be in the next. I will miss my Idol. I am so lucky that I have a motivating coworker like you. My Dear, these have been wonderful years to work with you. Whenever I was doomed, you were there to uplift me. Thanking you is just not enough! You are my arousal. I really appreciate your support and those path showing favors when I was going wrong. I am going to miss you badly. All I would be missing your towering presence, constant support, inspiriting words as a supportive colleague. Farewell, all the best. Goodbye and Farewell Dear. At last, I have got the chance to entice your chair now! I wish either your resigning got canceled or your dog eats up that! Farewell to the colleague whom we never want to let off. We wish you Good Luck getting new colleagues better than us, which is quite hard, right! Best wishes to you. Thank God, no more of your creepy face in the office; but the funny memories with you at work will ever dwindle. Good Luck and Farewell. Having awesome colleagues is a bad habit, because it’ll be impossible to work with someone else now that you’re leaving. Goodbye. Great to hear that you’re going away. I can’t wait to hear that you have been crowned as the “Gossip Queen” at the workplace. Goodbye! I know that you are going to get an awesome salary in your new job but there is no guarantee that you will get awesome colleagues like us too. Do you still want to go? Farewell. We were planning to throw you an amazing party next month and shower you heaps of gifts… but now that you’re leaving that’s not going to happen. So let us know if you change your mind. Farewell. You will not be here anymore but your endowment will be here forever. Best wishes to you. You have always been our greatest inspiration and more of a friend, less of a boss. Thank you for being a leader than a boss. Farewell Boss! You’re the best. You have conferred us with immortal bestowal. Congratulation on your retirement with great dignity! Dear Boss, I will be always grateful to you for letting me the opportunity to be a part of this organization. Have a great retired life! Your departure is a great loss to us. From today we are a little week, a little disappointed and a little helpless. It will cost us many more and we will miss you from the very core. Stay Well! Wherever you go, may you choose the right path and get all the success you deserve. All the best for your next days of life. Dear Sir, you were the wisest person of our team. Without you, it will be hard for us to keep the growth increasing. But we hope to do good with your learnings. Farewell and keep in touch. It’s difficult to say goodbye to you because I have found my best friend in you. Farewell! It’s time to move on and scale new heights. But don’t forget the old friends out of sights. See you! Thanks for all those help and support in the tasks I wasn’t able to do by mine. Goodbye! As you desire to leave for a better land, I hope everything works as your plan. Farewell dear colleague! Your supportive and caring nature helped the team come all along this way with no hitches. Farewell and cheers to new life. 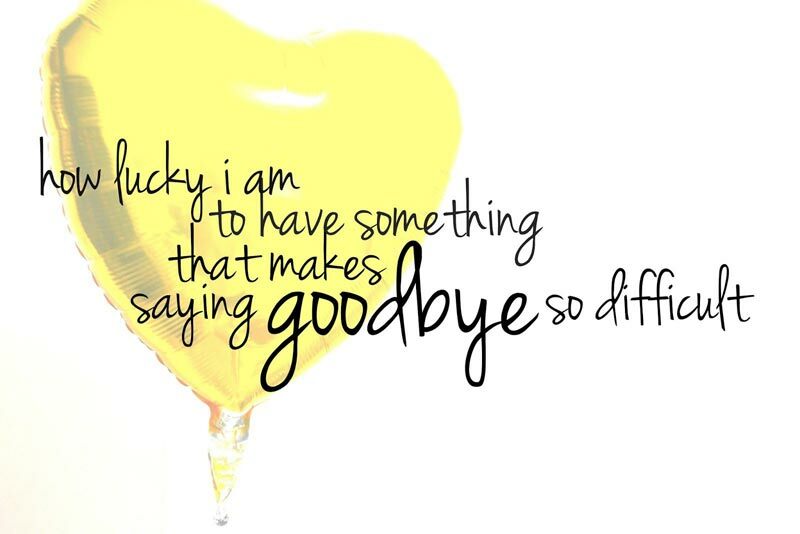 It is sad to see you leave. The office won’t be the same without you. Best wishes on your new endeavors. We wish you lots of money and a loving boss in the coming future. So go now and never come back! Best of luck! I know it’s that moment to say Goodbye to you. But with the farewell, you are going to acquire a new adventure of life. Say Hello to it! Today our team is going to lose its sense of humor and its heartbeat. Farewell to the guy who made every day so lively with his jokes and enthusiasm. As you embark upon a new path, let us wish you many moments of happiness success and achievements. May you live your dreams in each moment. Your resignation has shook us from the core. Without you, work is going to be a bore. Your departure has made us all sad. Your absence is going to drive us totally mad. Farewell. Farewell message to colleagues makes our coworker understand how important they were to us. Through our job or work-life, our boss, colleagues or co-workers cover up vital positions. Sometimes we don’t understand that during their presence. 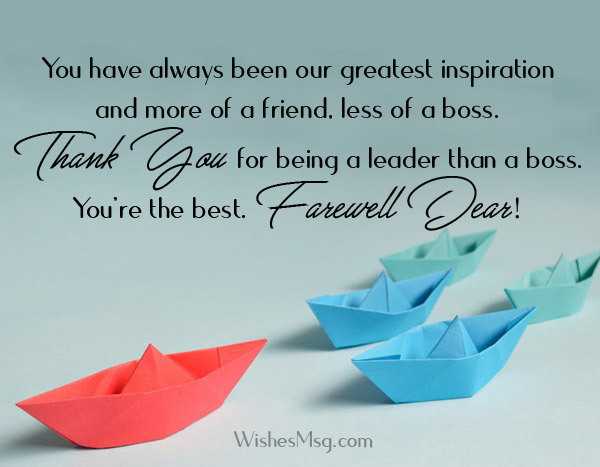 But on the last day of their work at the office, we all think to give a farewell message to a colleague who is leaving the company or office. 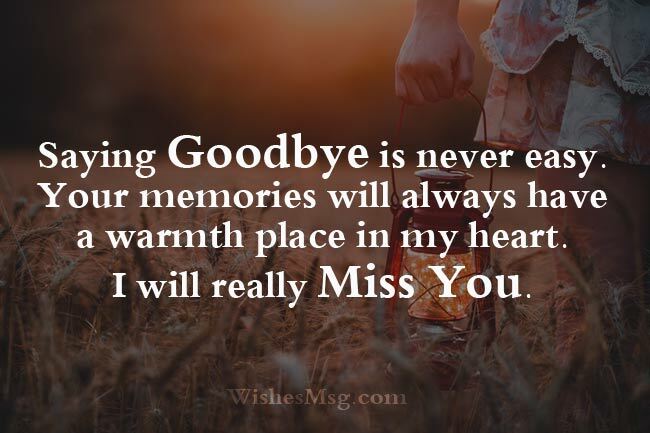 A sincere goodbye text, farewell notes, wishes quotes, etc help us to show our respect for them. In your case, you may use these sample thank you and farewell messages which are definitely the heartfelt ways to say goodbye to a coworker.